It can be tough to choose the right tablet for your needs, especially if you’re looking for something the whole family can use freely. Not only do you need to find a tablet with power to handle your applications and games, but you also need a tablet with a long battery life so you can enjoy those apps and games for a while. The RCA 7 Voyager II is a great family tablet because it’s small, lightweight and inexpensive, so you don’t have to worry if you drop it. If you need a new tablet to keep your family entertained on those particularly slow days, take a look at our review of the RCA 7 Voyager II tablet to see if it’s the right fit for you. What is a 7" Tablet? When shopping for tablets, you have your choice among numerous different sizes, including 7”, 8”, 9”, 10”, 12” and 13” tablets. 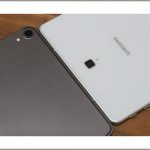 Obviously, the biggest difference among these tablets is the physical size of the screen, but that size difference affects many other things, as well. For starters, while portability is a big selling point for tablets, a 12” tablet is harder to lug around. However, there are some benefits to buying a larger tablet. For instance, 7” tablets often have the weakest hardware because they simply aren’t big enough to fit large hardware inside. 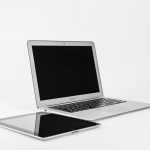 Conversely, manufacturers can fit a fairly large processor and battery into 12” tablets, which gives them a big performance boost over their smaller counterparts. Larger screens also provide a high-resolution display. If both performance and portability are important to you, you can always opt for something in between a 7” and 12” tablet, such as a 9”. That way you can still easily take your tablet from one place to another without worrying about whether it will stay charged or be able to handle more demanding tasks. What Is the RCA 7 Voyager II? RCA makes a number of budget tablets, most of which come in smaller sizes but still pack a punch. The RCA 7 Voyager II may not be the fastest tablet or have the longest battery life, but what it offers in all-around functionality for its price is hard to beat. This is a fairly basic RCA 7 tablet that looks like other budget tablets such as those from Acer and Amazon. It may be a little bit outdated in terms of technology and software, but the RCA 7 Voyager II is still one of the best entry-level options on the market. Because this is a smaller, cheaper tablet, it makes for a great family device. 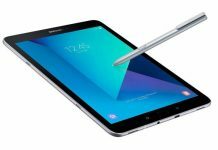 For less than $50, you can buy a capable tablet that you can hand to any relative without worrying about him breaking a $500 computer. This is truly one of the best-selling points of the RCA 7 Voyager II, which also gives you access to the Google Play Store so you can download and buy all sorts of great games and apps. 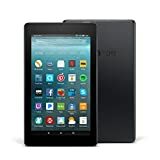 RCA Voyager II Tablet 8GB Quad Core Android 5.0, Black, 7"
As important as it is to read a few reviews before deciding on a tablet, the best thing you can do is compare the tablets you’re looking at by the numbers. Most manufacturers have spec sheets for their tablets, so you can easily compare some of the different features such as the processor, battery, RAM, storage space, storage expandability, camera quality and more. Here’s what you need to know about the hardware inside the RCA 7 Voyager II. The first thing you want to look at with a tablet is the hardware that determines how well it performs and how useable it is. First off, you’ll need a powerful processor, which the RCA 7 Voyager II provides in the form of a 1.4 GHz quad-core CPU. As far as RAM goes, you get a measly one GB of DDR3L memory, but that should be enough to handle things like browsing the internet, playing basic games, listening to music and watching videos. RCA doesn’t make any mention of the specific processor used in the 7 Voyager II, or what kind of video card it has, but at a glance it appears that the RCA 7 Voyager II is more than capable of handling the average user’s needs. 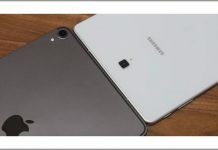 When you’re buying an Android tablet—especially an older model—you need to know which version of the Android operating system you will be getting. The newer your Android OS is, the more likely you will be able to download your favorite games and apps and access newer features. Unfortunately, the RCA 7 Voyager II comes with Android 5.0​​ Lollipop, which is really outdated. While you can probably upgrade the OS a bit and shouldn’t have a problem with day-to-day tasks on an older operating system, there may be some games and apps you flat-out can’t install. 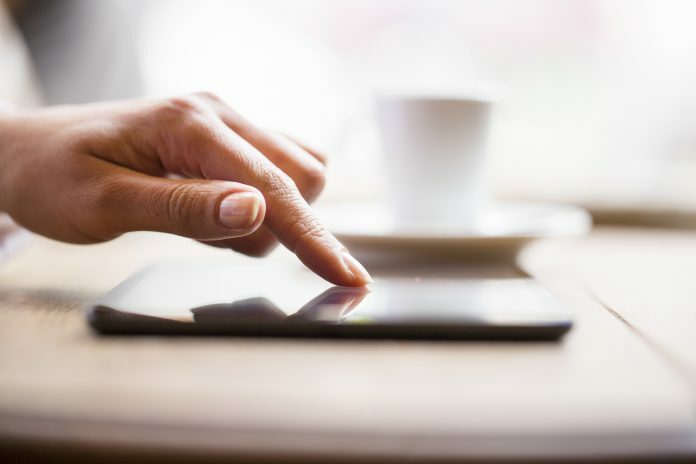 If app accessibility and up-to-date features are important to you, you might want to consider one of the newer low-budget tablets on the market that gives you access to a more current operating system. RCA tablets use Android operating systems that get their apps from the Google Play Store. For the most part, you should be able to find just about any app in the App Store on Google Play, so making the switch from an Apple device to the Voyager II isn’t too difficult. However, there may be some apps that aren’t available, so check before you buy. The real drawback with apps on this RCA 7 tablet is the fact that its older Android operating system doesn’t give you access to all the newest apps and features available on other Android tablets. RCA doesn’t provide a whole lot of specific information about this tablet, and that includes the battery. While you can assume the Voyager II contains a lithium-ion battery that will degrade over time with use, RCA doesn’t actually give the mAh number for the battery. However, it does estimate that your RCA 7 Voyager II tablet should be able to run for about six hours on a single charge, though that will depend heavily on your settings and what you’re actually using your tablet for. As far as battery life goes, the RCA 7 Voyager II is fairly average. Some tablets may last a bit longer, but six hours is fair when you’re talking about a 7” tablet. Despite its small size, the RCA 7 Voyager II tablet isn’t necessarily made to be used as a portable camera, which is why you won’t find much camera function in this tablet. While most tablets have both front and rear cameras (and sometimes multiple rear cameras), the RCA 7 Voyager II only has a two-megapixel front-facing camera that allows you to video chat and take decent-quality selfies. This isn’t a huge problem since tablets aren’t used for taking pictures all that often, but it’s something to note if a good camera is important to your family. The RCA 7 Voyager II doesn’t have a great display, but it’s display is pretty much what you’d expect from a tablet this size. The screen measures 7.1” from corner to corner, which means you don’t have a ton of room to work with when watching videos, drawing or browsing the web. A 1024 x 600 resolution further exacerbates this problem, although the small size of this tablet is part of what makes it so great—and affordable. When it comes to buying a tablet, it’s hard to say what a “fair” price is. While there are a lot of cheap tablets on the market that cost less than $50, there are also tablets designed for professionals that cost hundreds despite their tiny size. It’s important to keep this in mind when you’re trying to determine whether one tablet is a good deal compared to another. With all that being said, the RCA 7 Voyager II is definitely a fairly priced tablet. RCA currently offers this tablet for $44.99 brand new on its website, which means you can get your family a solid 7” tablet for roughly the price of a few trips to the drive-thru. However, we wouldn’t say this tablet is a great deal, necessarily. There are actually a lot of Android tablets on the market in this $50 price range, including options from popular brands such as Amazon. If you do choose to invest in the RCA 7 Voyager II over, say, an iPad mini, you shouldn’t expect as much in terms of performance and features. The RCA 7 Voyager II is far from the best tablet on the market, but it definitely offers enough features to make it a viable $50 tablet. If you are thinking about buying something else, take a look at some other similar tablets to see how the RCA 7 Voyager II stacks up against the competition. Not everybody wants to spend hundreds of dollars on a tablet they’re only going to use occasionally. If you’re looking for a good entry-level tablet or something you can share with your entire family, the RCA 7 Voyager II is one of your better choices. 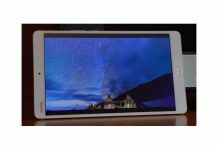 The biggest downsides to this tablet are its display resolution and the outdated Android operating system, but neither of these cons should prevent you from buying this RCA 7 tablet. If you’re looking for an affordable quad-core-powered tablet that allows you to easily add extra storage with a microSD card, the RCA 7 Voyager II offers everything you need. The only people who won’t like this tablet are those who need top-level performance. The RCA 7 Voyager II tablet is a budget-friendly gadget that offers good performance and decent battery life. Although it is equipped with an outdated Android operating system and it lack RAM, it is still a decent gadget promises good gadget experience.